It’s interesting to compare vintage flex nibs to modern flex nibs. My preferred, unmodified modern flexible nib is the OMAS extra flessible nib (in this case, an extra-fine). 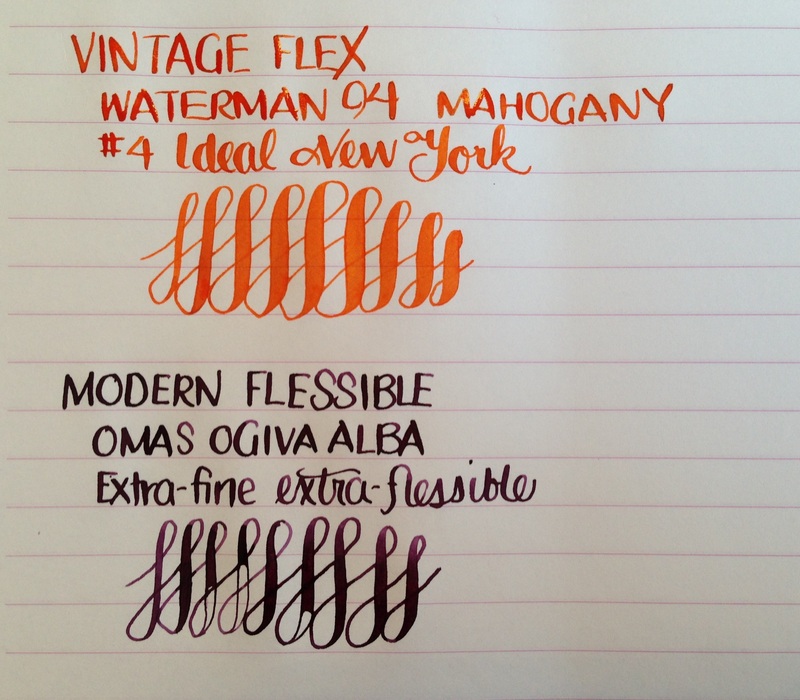 The OMAS nib is a 14KT gold nib, just like the nib on the Waterman 94 I compared it with in the writing sample below. The vintage nib felt softer, bounced back faster, had better feedback (i.e., it let me know when I was pushing it far enough), and the ink flow kept up well. Flexibility will vary, but you can certainly find a nice, soft, flexible nib if you want one. The modern nib was quite decent, but if you want a truly flexible nib, I’d say go vintage. This entry was posted in Vintage Pens and tagged Flex Nibs, Waterman. Bookmark the permalink. Follow any comments here with the RSS feed for this post. Post a comment or leave a trackback: Trackback URL. Just imagine what the mas will write like when its as old as the Waterman!